Whilst reading the latest ‘Tomoblog’ written by our good friend Alex Thomson, it was noted that contained within it was an obvious and rather petty attempt to wind up Rangers fans. Thomson attempted to do this by consistently referring to the club as ‘The Rangers’. This particular ‘wind up’ is certainly not a new thing as recently various media sources have used the same trick - and of course less we forget our former rivals across the city, as by now nearly all of us have been subjected to the ‘The’ stick from those with green glasses on numerous occasions. Regardless of the source it is simply a pathetic attempt to imply that our club of 140 years is no longer the same club - no longer will they refer to us as simply ‘Rangers’ as we have grown accustomed to, as in their eyes this ‘new’ club is ‘The Rangers’, a completely different entity from its predecessor. Now, for those of us that actually have two brain cells to bang together this has been most puzzling as both pre and post name change the ‘The’ has always been there. 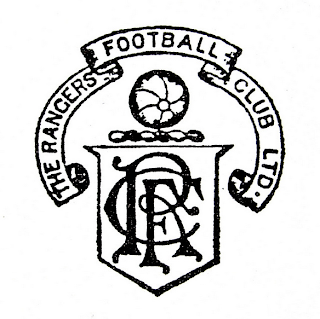 In fact, as far as the company name itself goes, all that has changed is that PLC has been replaced by LTD, and ‘The Rangers Football Club LTD’ is not an alien title to us – indeed if you go back to the tail end of the 1950s the clubs crest had this exact title on it, and examples can be found in club documents and publications well into the 1970s. 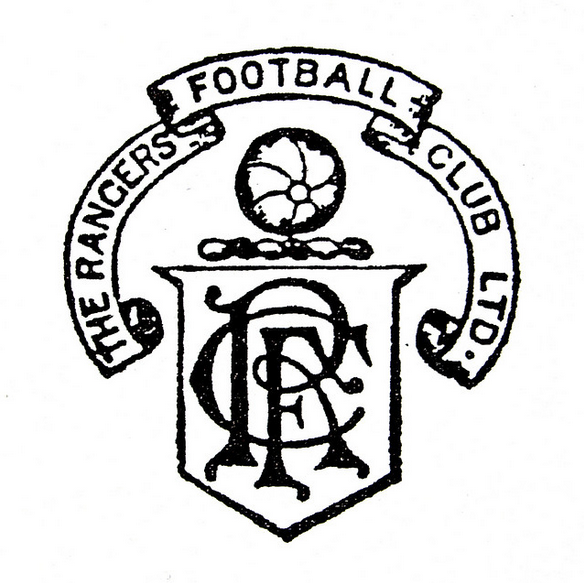 Looking back at our early years from our clubs very formation and into the early 1900s Rangers were always referred to as ‘The Rangers’. Contained within the truly wonderful website celebrating our founders TheGallantPioneers.co.uk are archives of many an article from this time period, and within nearly every article the word Rangers is prefixed by the definitive article ‘the’. Researching further through archives of media reports from after this period the use of ‘the’ prefixing Rangers began to vanish until (like now) it disappeared almost completely as the application of the definitive article for club names faded from use across Britain. It is likely that the legendary Arsenal boss Herbert Chapman played an integral role in the disappearance of the definitive article from club names. At his insistence, newspapers across the country began calling the club “Arsenal” at the dawn of the what became the club's most successful era, a decade in which five league trophies and two FA Cups were won. After speaking to representatives of various age groups it does seem to be a generational affair, that the older the bear the more likely they are to have encountered 'the Rangers' during their days, whilst the younger among us has probably never seen the club termed as such in any sort of report until Mr Thomson and his colleagues decided it'd be used as some sort of thinly veiled jab to our fan base. And in 2009 the foundation of the Rangers was marked with a plaque at Flesher's Haugh on Glasgow Green. Amongst those gathered there that day for the unveiling was the great granddaughter of one of our founding fathers, Heather Lang (grand-daughter of Peter McNeil), and Sandy Jardine. The plaque placed on Glasgow Green reads, ‘In the spring of 1872 four young boys, Moses McNeil, Peter McNeil, Peter Campbell and William McBeath left the rowing boat on the River Clyde and upon these fields formed a football team. 'This team was to be known as The Rangers Football Club. Not only should we not rise to the bait at being referred to as ‘The Rangers’ we should in fact embrace it, and if it is coming from a source out-with the family we should perhaps demand it.